Clondanagh Lake has a good head of bream, hybrids, roach, rudd, tench and perch fromthe bank and fishing stands. There is a rowing boat freely available for pre-baiting. Among the better known local lakes are Silvergrove, the Cullaun Chain. Anglers staying at Clondanagh will also have access to more private fishing. 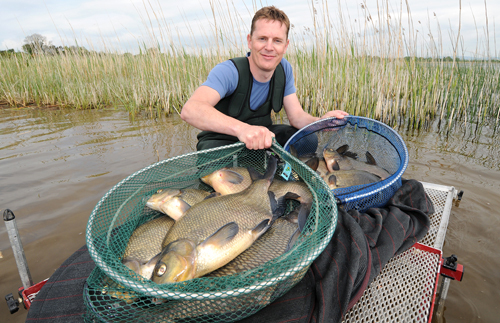 The Tulla area is well known for quality bream and tench fishing. Access to private fishing on Clondanagh Lake and complimentary and boat for pre-baiting. Guided tour of local lakes for newcomers.